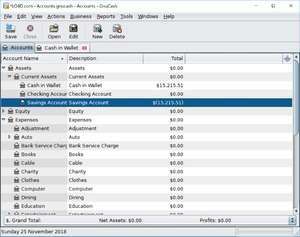 GnuCash is an extensive personal accounting suite which operates directly from your PC, as opposed to old-style paper record-keeping. Essentially, it provides you an overview of your assets and liabilities. GnuCash is a complete solution to personal accounting and small business if you please. It includes all of the tools that more expensive software does though it remains easy-to-use. For security reasons, you should also check out the GnuCash download at LO4D.com which includes virus and malware tests. Additional screenshots of this application download may be available, too. GnuCash download been highly rated by our users.